I returned a few weeks ago from the most most amazing holiday in Portugal. 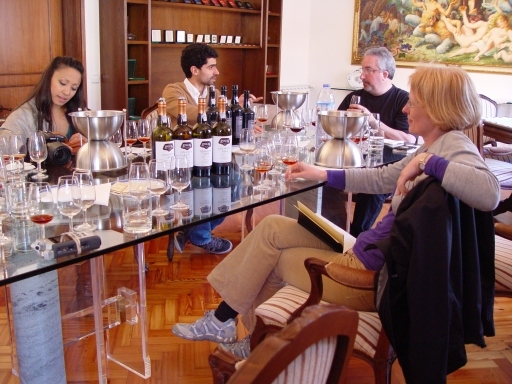 The focus of our trip was Roy Hersh’s 2012 Port Explorers Tour, but we also spent a few extra days in Porto. We stayed in Porto and Régua, visiting Port houses in Vila Nova de Gaia, and quintas in the Douro. Additionally, we went on a refreshing excursion to Vinho Verde. 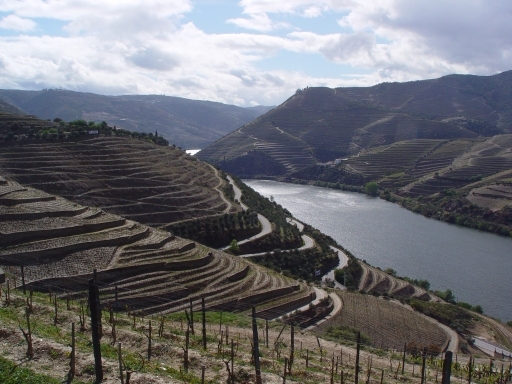 I recommend both Porto and the Douro very strongly as a wine destination. Even before the Port Explorers Tour started we enjoyed Porto very much, and found everyone friendly and helpful. It was also nice that none of it has yet become a sanitised tourist destination, though bits of Vila Nova de Gaia are heading in that direction. 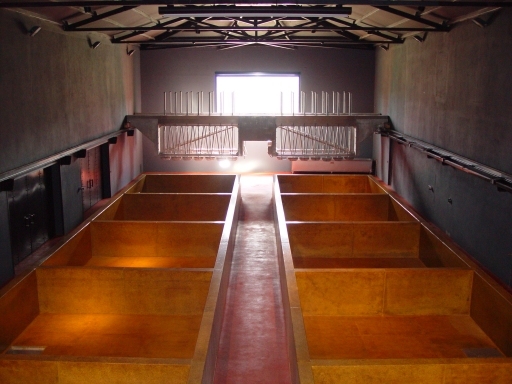 And if you want to have great tastings set up for you and meet the people behind the wines, I doubt you could do better than to join one of Roy’s tours. I intend to blog with more thoughts from this trip – nothing too structured, and probably not many tasting notes – just the things that made the biggest impact on me. For now here is a quick pictorial summary. Here are some barcos rebelos with part of Vila Nova de Gaia in the background. 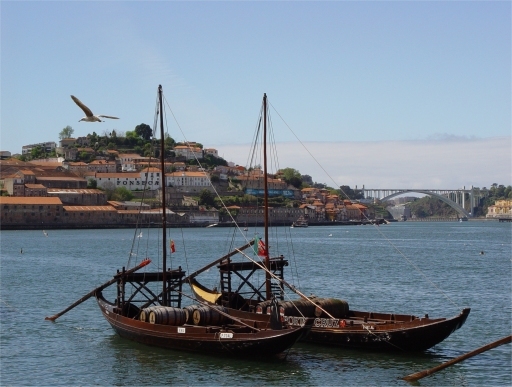 This was the style of boat that used to bring the wine down the Douro to Vila Nova de Gaia for storage before shipping. Now they are used to advertise Port houses, and the wine arrives by road in small tankers. This was how we spent a lot of our time. Here we are at our very first tasting with Roy – at Porto Poças. Someone has to do it – that wine will not taste itself. And this was our first meal with the group, at Adega e Presuntaria Transmontana II in Vila Nova de Gaia. A selection of nibbles, which we soon were to learn was a common way to start a meal, and a mackerel dish in the foreground. The Douro valley. Back in Porto, everyone seemed to speak of it with misty eyes. Now we understand why. Wow! The most impressive thing was the sheer scale of the landscape – horizontally as well as vertically. And finally an example of some of the wine-making kit we saw. These are the robotic lagares at Sandeman’s Quinta do Seixo – the modern version of the place where all the grape treading goes on. See the robotic feet at the far end. 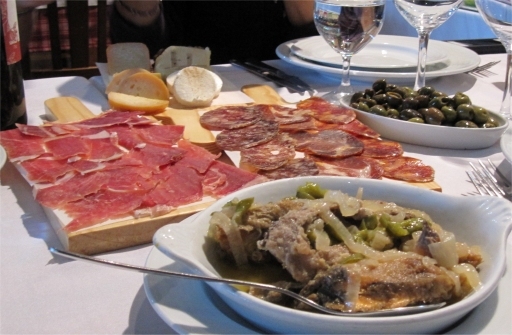 Below is a complete list of the significant wine and food related events on our trip. Those marked with a star, were set up as part of the Port Explorers Tour. I am not going to get round to writing about all of these, so if you want an opinion get in touch – use the comment box or drop me an email. This entry was posted in General and tagged douro, port, portugal, restaurant, travel. Bookmark the permalink.